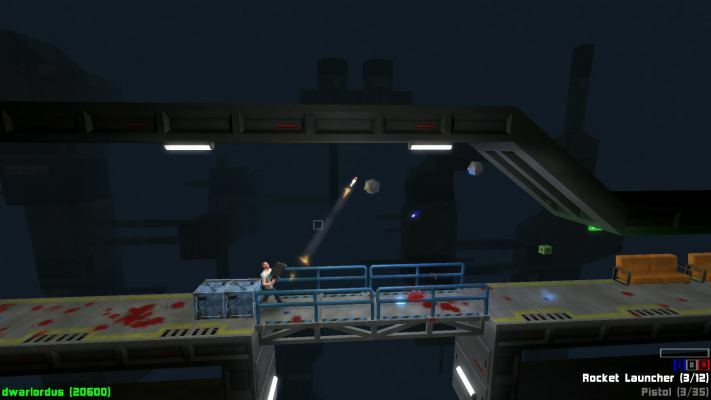 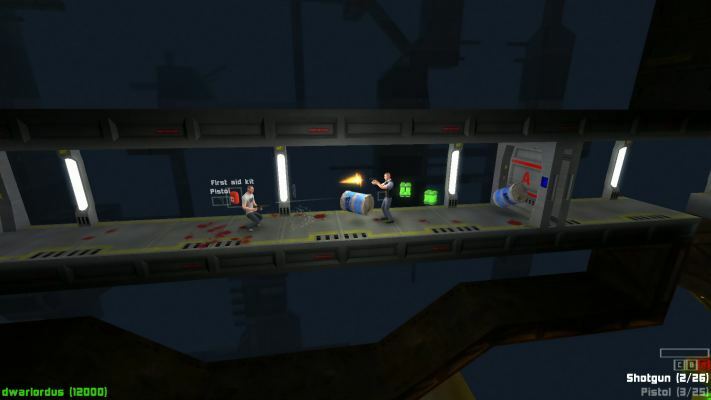 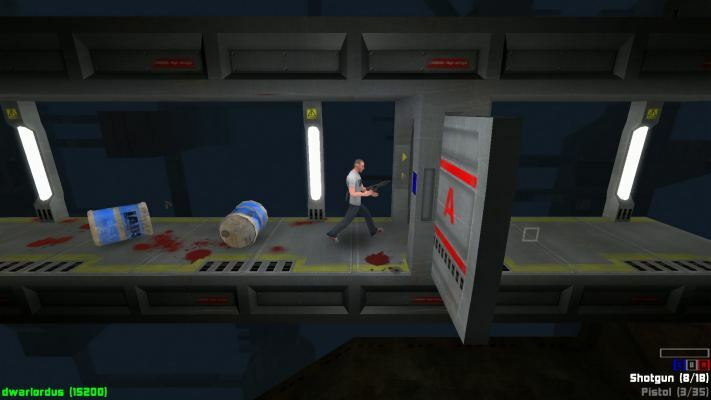 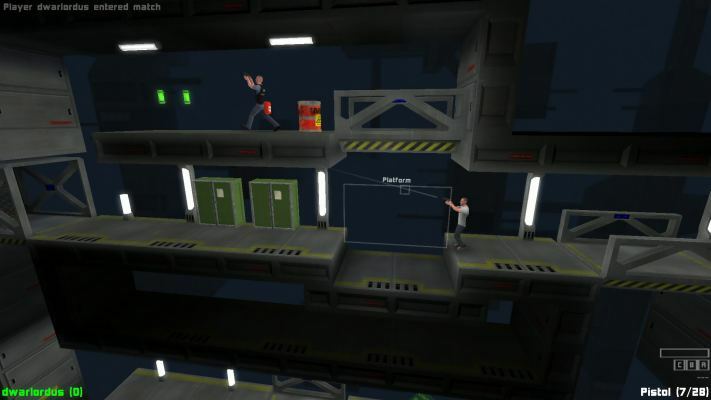 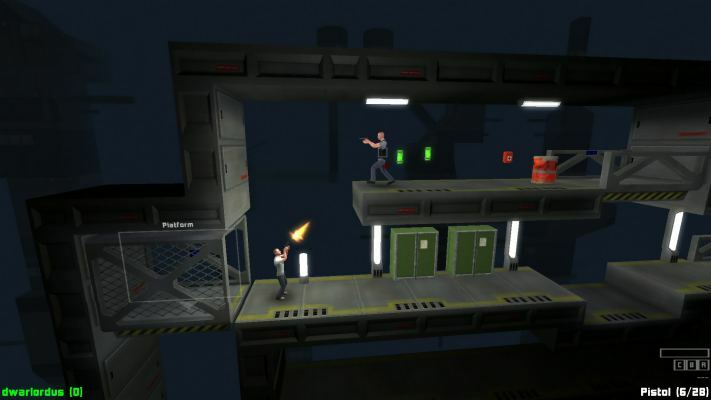 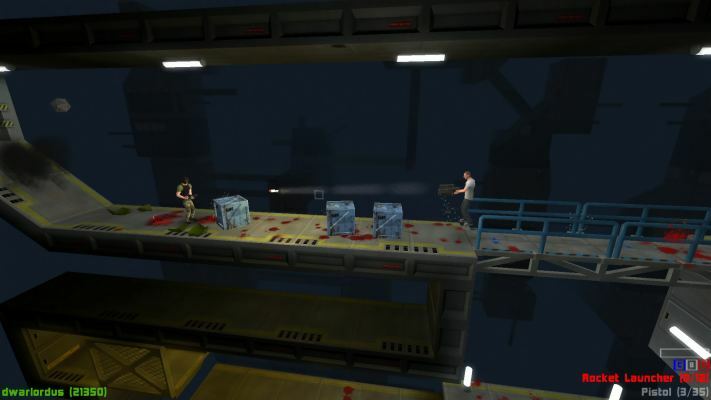 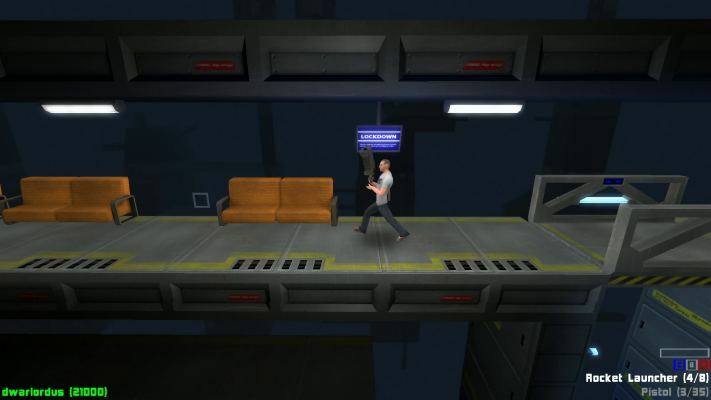 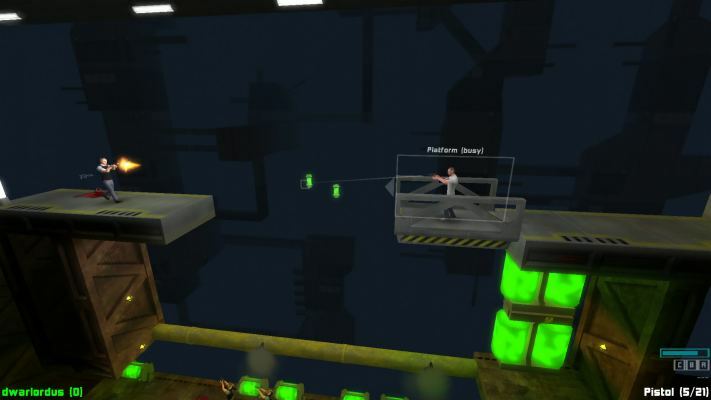 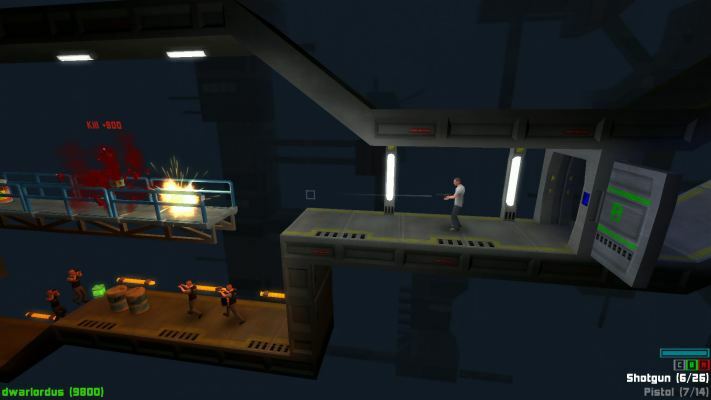 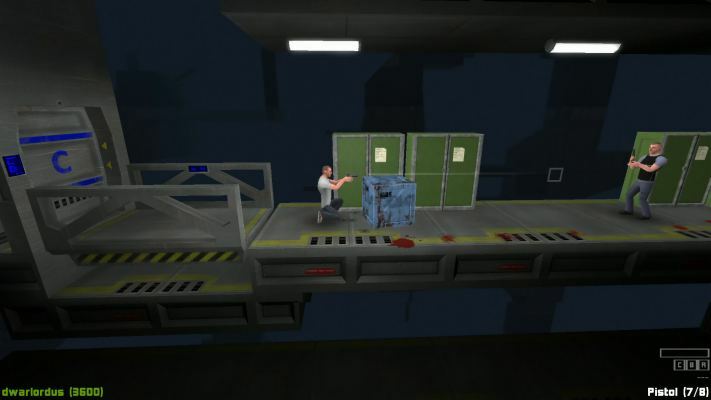 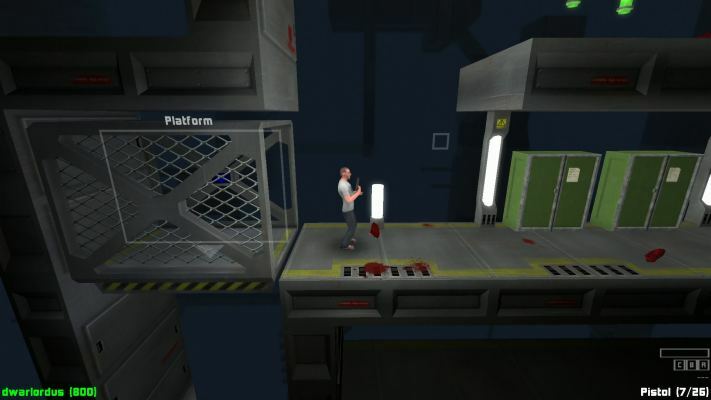 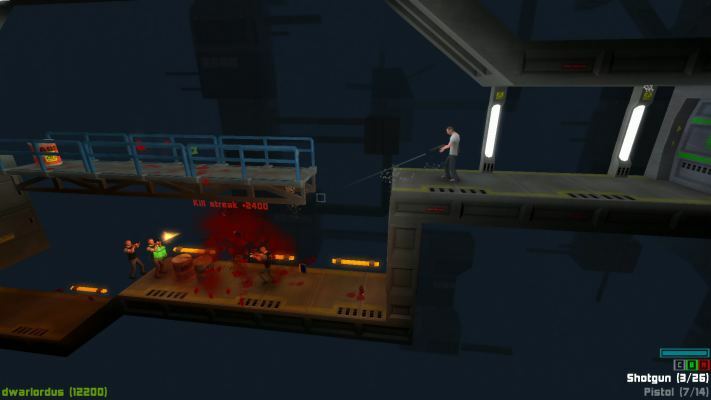 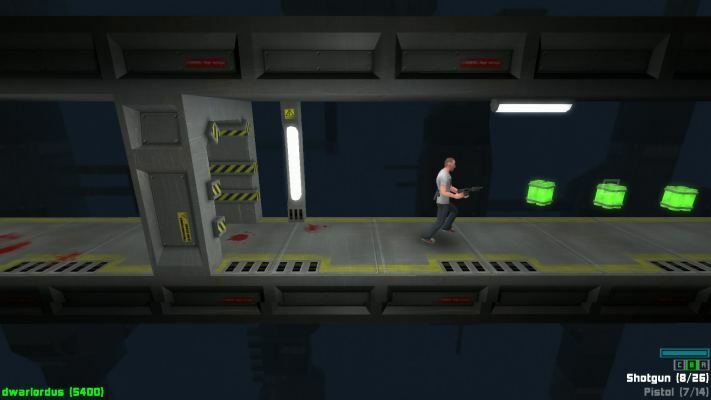 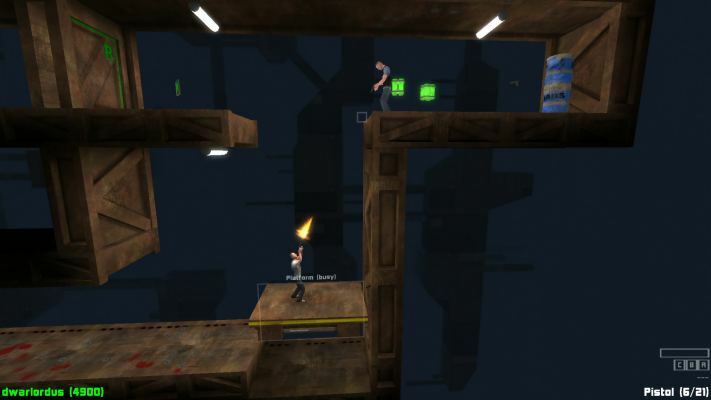 Lockdown Protocol is a 'Pay What You Want' score-oriented 2.5D Shooter platformer Game with Multiplayer support and built-in level editor. 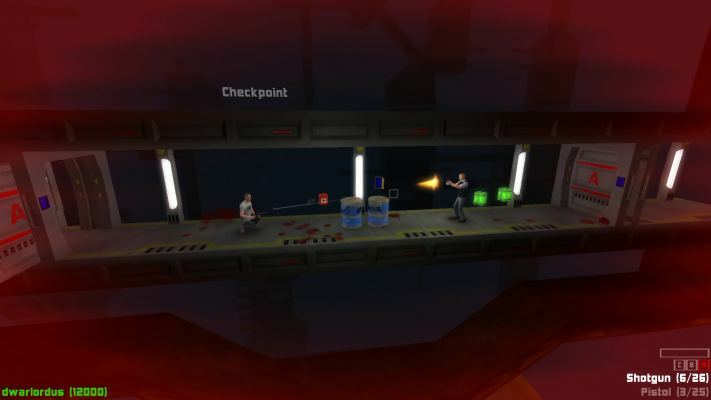 Lockdown Protocol has been in development for over five years and is now available on Windows and Linux PCs. 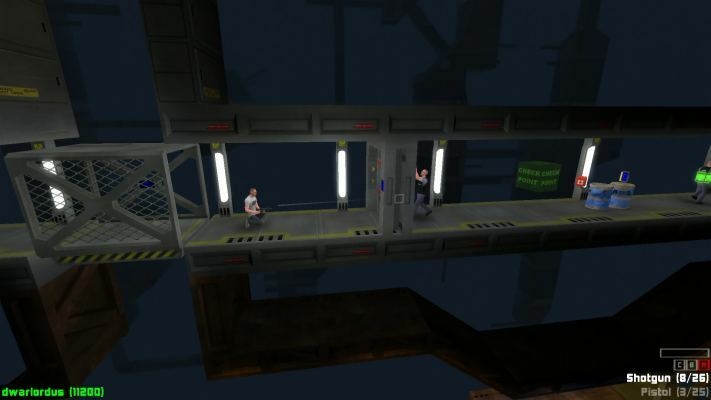 You are a lone scientist in a research facility on automatic lockdown. 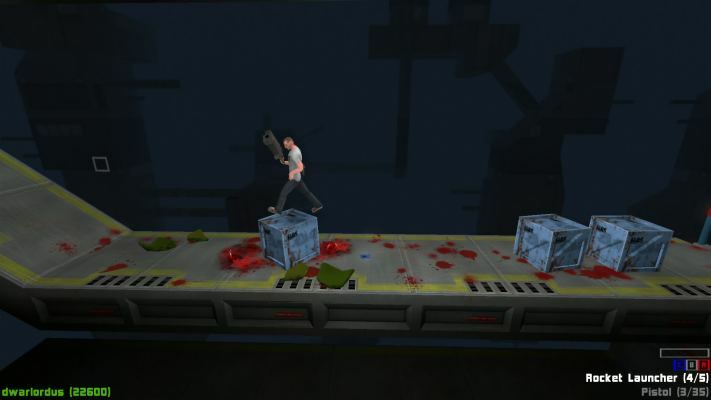 Fight your way out, collect bigger weapons on the way and blast your enemies into pieces! 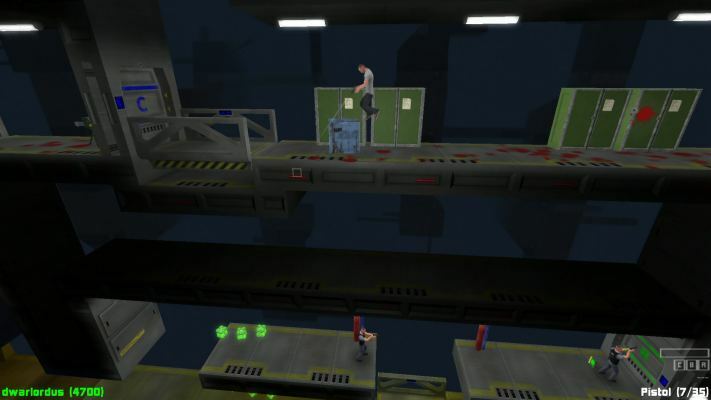 Beat the high-scores in single player levels or challenge your friends to a multiplayer deathmatch! 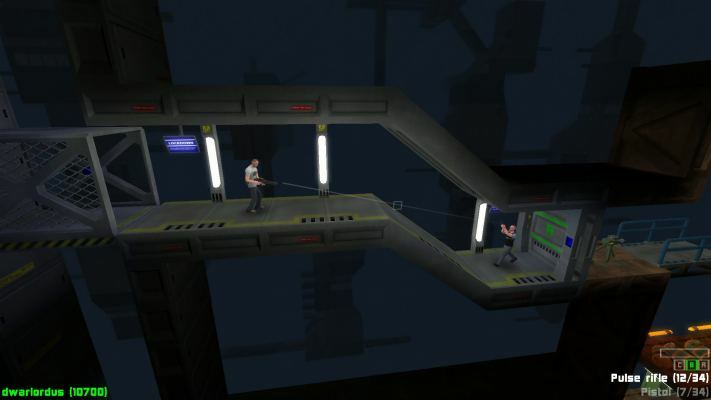 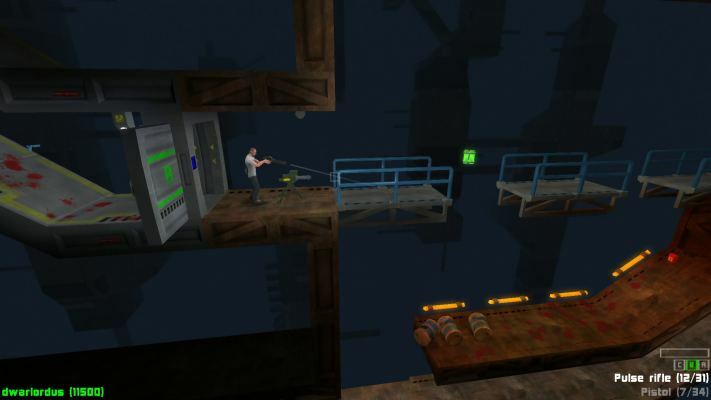 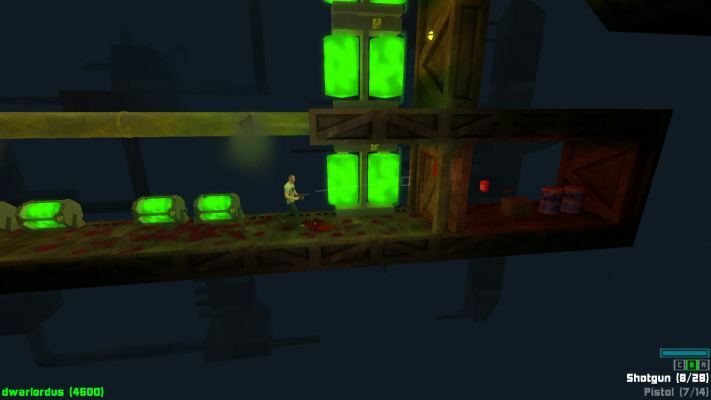 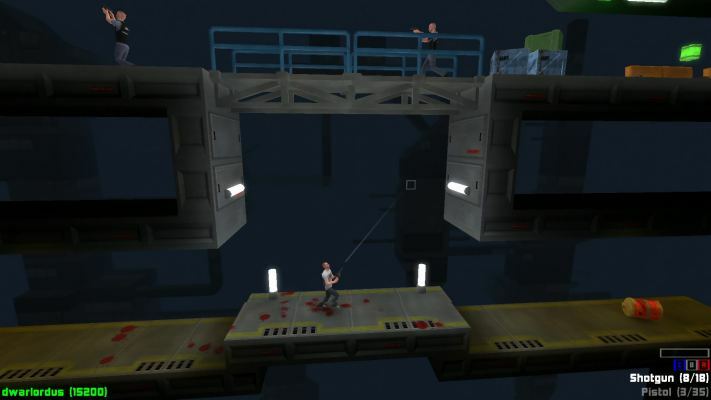 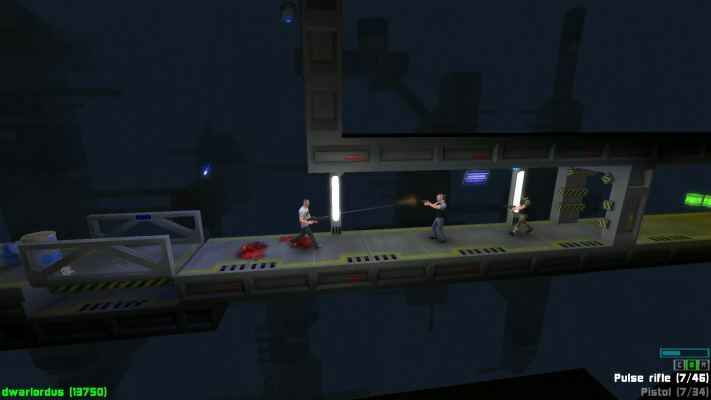 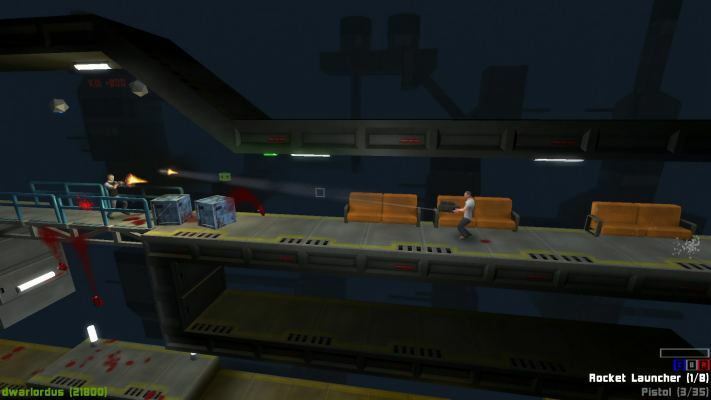 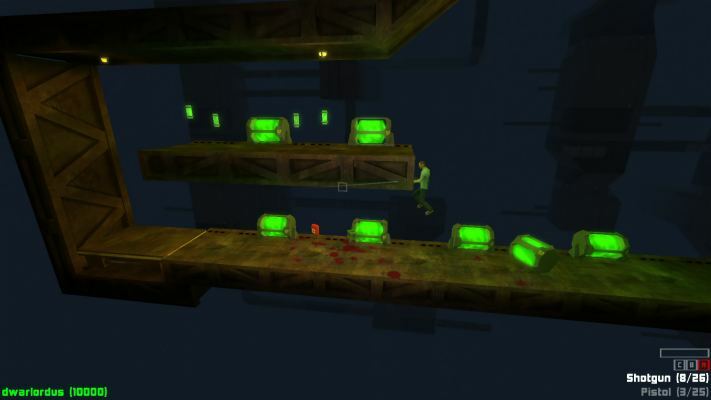 - Smooth old-school shooter gameplay in platformer environments. 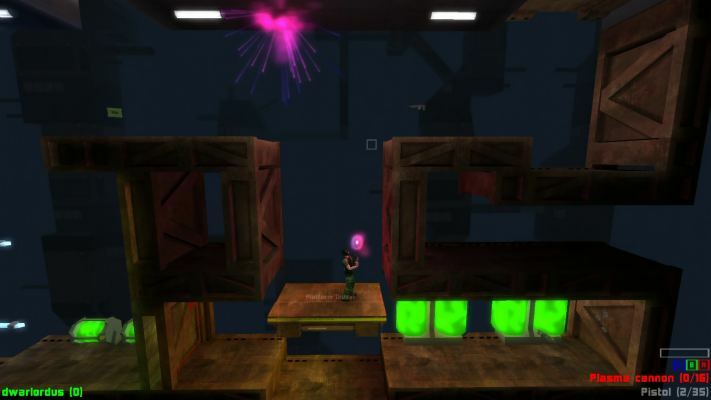 - 26 single player levels to play and compete for the highest scores. 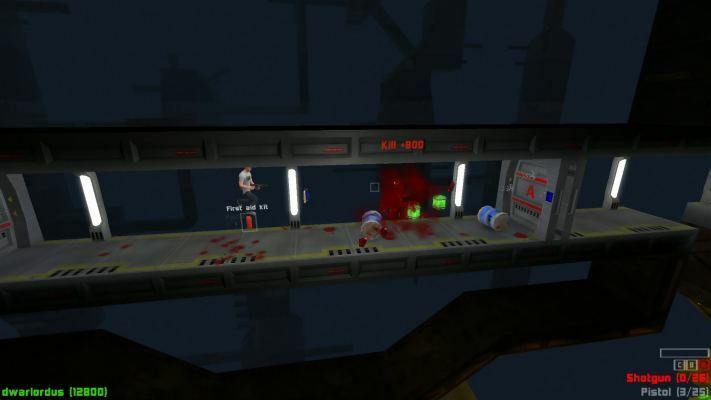 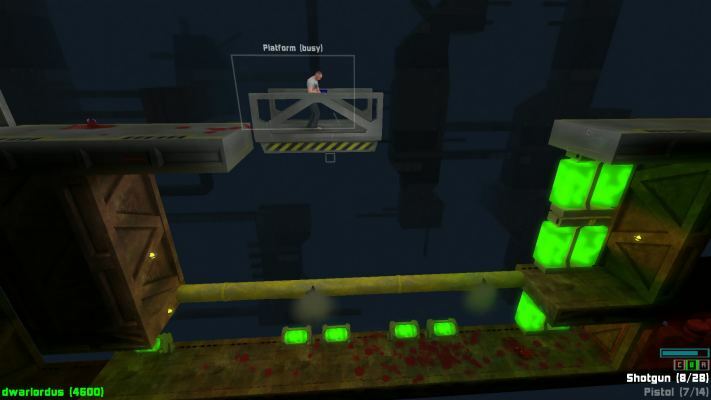 - 7 multiplayer levels for brutal deathmatches. 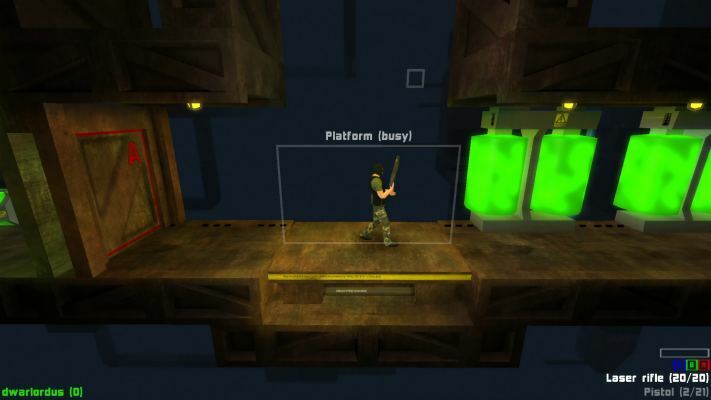 - Local split-screen and network multiplayer support. 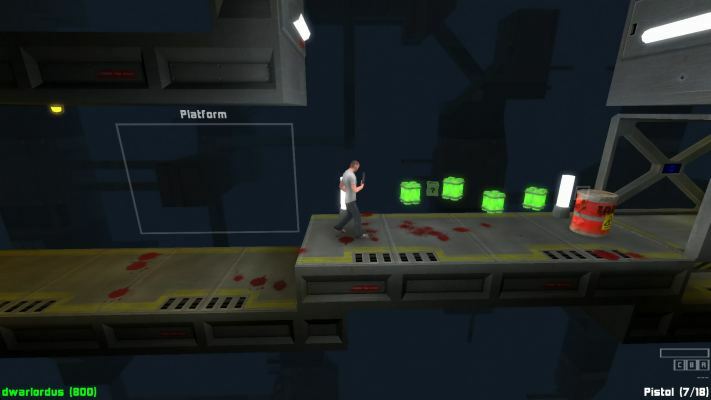 - Built-in level editor for creating your own levels.